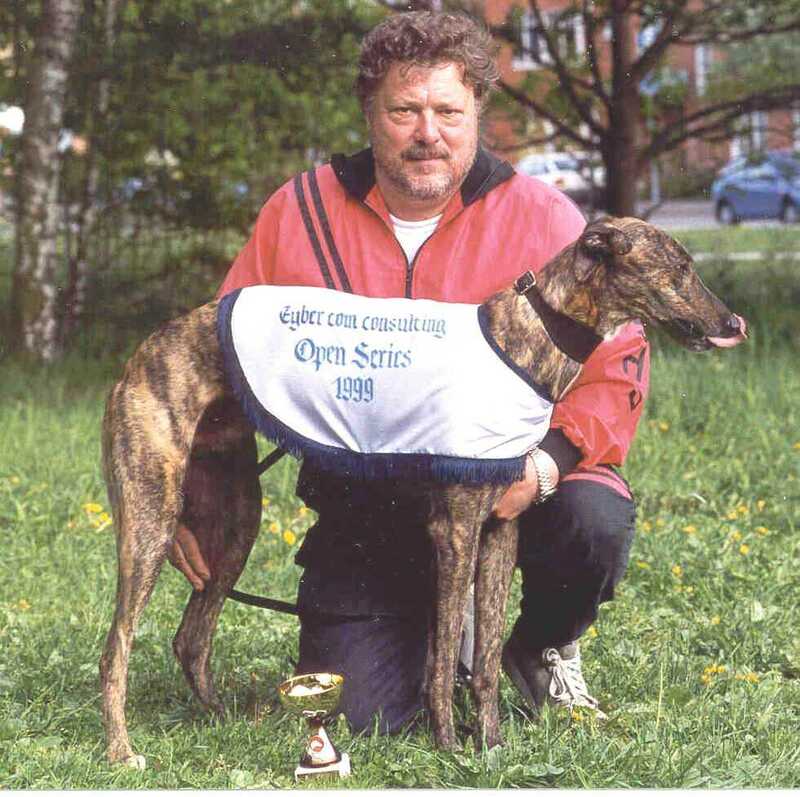 "Thasos" had an hook injurie 1998 and after his return to the tracks, he won SHS Open Series A-finals, S:t Eriks Cup 1999. Before his injurie he noted times like - Stockholm 17,27 (291m) 29,68 (481m), Simrishamn 31,60 (500m), J�rbo 29,71 (480m). Ground Zero Antepost favorite for the English Derby 1998, injured and was exported to Australia as a studdog (new name Ground Hero). OakMount Vixen Openracer, exported to Sandown Australia, is winning over there. Swedish Slaney Winner of Black & Red Racing 1997, Breeders 1997, Apell Pl�t Cup 1997. Best times noted - Alings�s 30,84 (500m), Stockholm 29,41 (481m), Simrishamn 31,53 BR (500m) 1997 . Fair Bianca Winner of K�plusten Cup 1997. Best times noted - V�ster�s 31,39 (500m), very little raced because of her seasons.